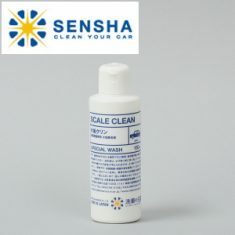 SCALE CLEAN - SENSHA CO., LTD.
We provide“SCALE CLEAN” as water stain remover to professional detailers and car wash shops. It is easy for everyone to use. 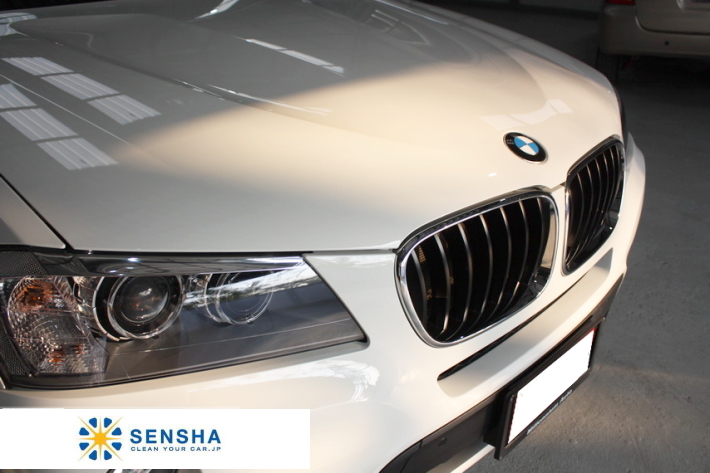 You can wash off water stain while you are washing your car. Water stain removers used to be cream or paste style and contained coarse compound. When you use those kind of products, it will be difficult to remove water stain evenly and often created uneven contamination by the remained compound on the applied area. After the application was done, gives a hard time to polish it off! 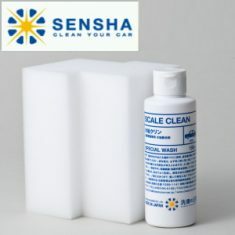 Our original product “SCALE CLEAN” will not make uneven contamination on the applied area. After the application, you can simply wash off with water. No need to work hard like you used to. We received many comments from customers said they have tried several products but in fact giving them more defect to their cars. 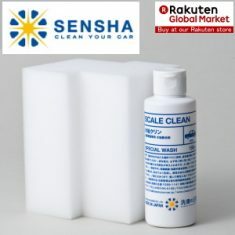 After using SCALE CLEAN it solves their issues. 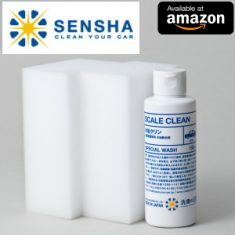 “SCALE CLEAN” is specifically made to remove water stain on cars. 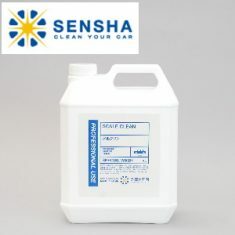 We have added micro polishing beads by our latest technology into alkaline component detergent. So water stain can be removed very easily without rubbing strongly. You can clean water stain much easier, you will be have fun to do washing. As the compound we use is very gentle and fine,it will not damage the surface. 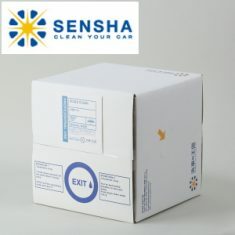 The roll of the compound will rub off the contamination which appeared on the surface by the detergent. So you can use on new cars and on coated cars, too.